I'm all about having the floor level and not squeaky. 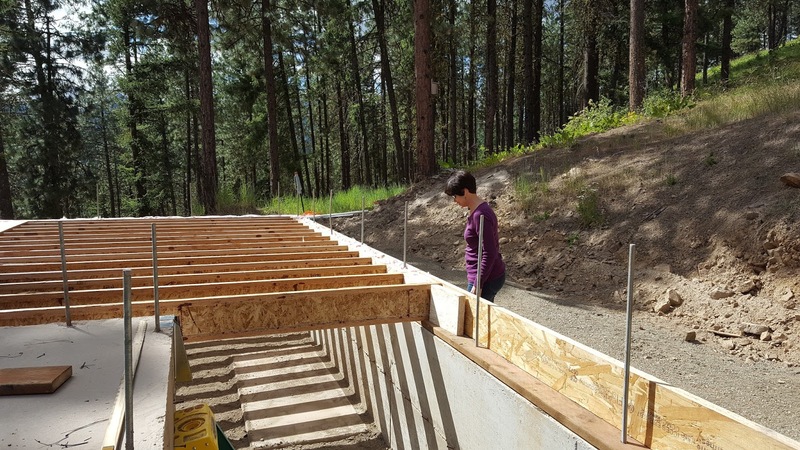 The i-joists span the whole floor and are supported by a floor beam in the middle. 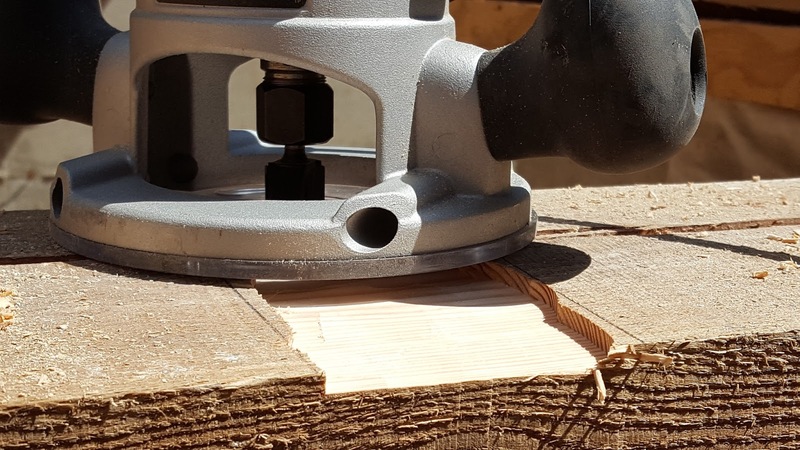 The timber floor beam wasn't perfectly straight, so it needed to be adjusted. Fortunately the beam was high, not low. At each point where a floor joist crossed that beam, we would trim the beam with a router until the joist didn't rock like a teeter totter. We soon figured out that each 1/4 inch at the end of the joist (between joist and plate) equates to 1/8 inch depth of the routed slot. Soon we had all joists sitting level across the floor. 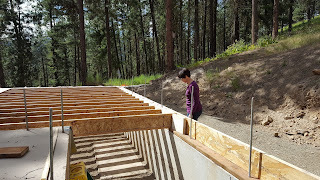 Linda inspects the installed glulam i-beam joists. There were a couple of days of work to get blocking installed between the ends of the joists, with insulation. Then we were ready to start installing subfloor.